1). That I’m not the Christmas Grinch I was last year! 2). For more opportunities to share Christ with clients. 3). “Behold, the eye of the Lord is on those who fear Him, on those who hope in His mercy” Psalm 33:18. What other belief system can say that their god has his eye on them? 4). “The angel of the Lord encamps all around those who fear Him, and delivers them” Psalm 34:7. 5). “The Lord is near to those who have a broken heart, and saves such as have a contrite spirit” Psalm 34:18. 6). “The Lord redeems the soul of His servants, and none of those who trust in Him shall be condemned” Psalm 34:22. 7). God’s faithfulness to me is not contingent on my faithfulness to Him. 1). My general feeling toward life and eternity is something along the lines of “Lord, come quickly because life down here is hard and unpleasant” until this week. In the words of a friend, I am surrounded by people with broken hearts and no regard for truth. This week I have found myself saying, “Lord, I want You to come back, but not yet. Too many people I love don’t know you.” Praise God for perspective. It keeps me from whittling my time away on unnecessary pursuits. 2). My new student who is wide open to learning the truth of God. I’m still pinching myself at the opportunity to speak openly to her about my love for Jesus. This is why we are here, our reason for living. 3). “For God has not given us a spirit of fear, but of power and of love and of a sound mind” (II Timothy 1:7). 4). Being able to join forces with another believer in solidarity for a friend who’s going through a horrible situation. Satan is fighting a losing battle and will find he is no match for the power of God or His people. 5). The Church- despite its many flaws, God still uses it as a built-in support system and place of refuge for His people. 6). The upcoming Christmas break. My husband and kids are tired and need a break. 7). A quiet Friday night with nothing that has to be done. 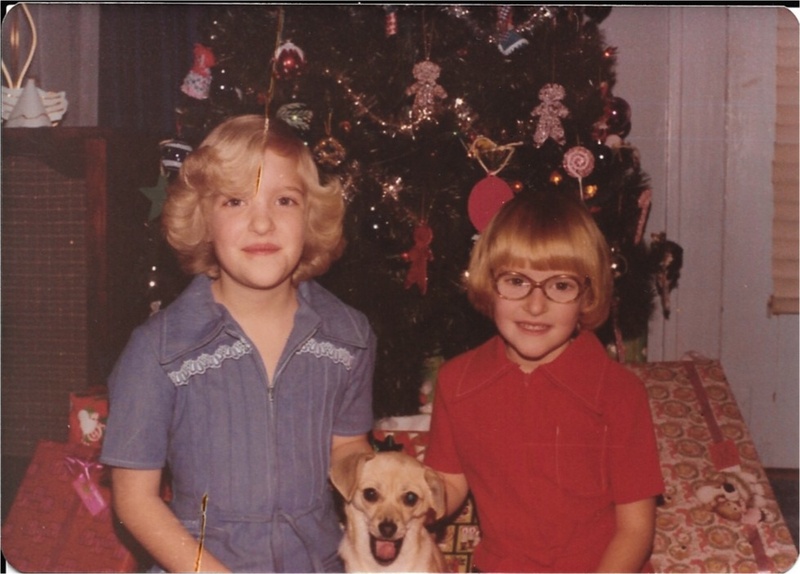 Like most kids, I grew up loving Christmas. Hands down the best part about the whole season was decorating the Christmas tree. 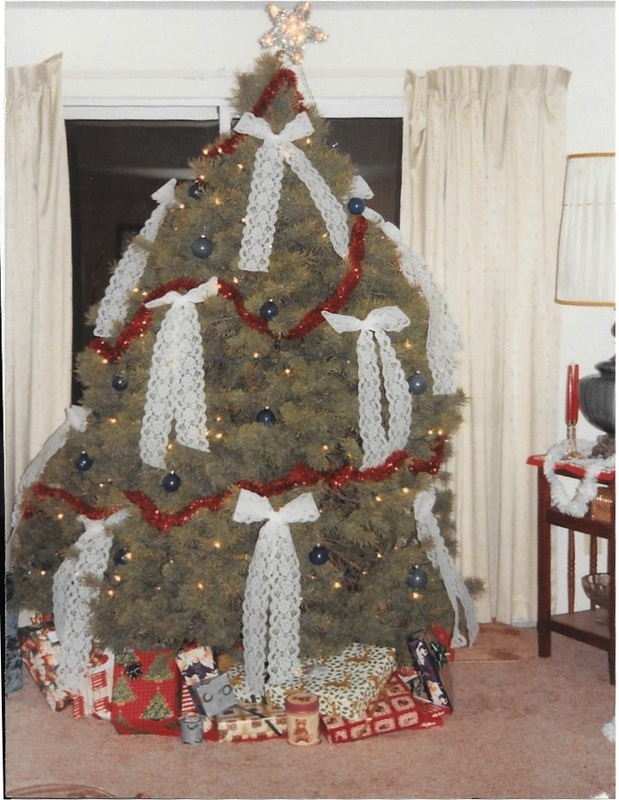 My mom and dad would drag it up from the basement, pull it out of the box and assemble it, fitting the branches into their color-coordinated holes in the base. I loved it. We doused it with colorful felt ornaments, homemade ornaments, sparkly ornaments, colored lights and a truckload of silver tinsel. To my young eyes it’s grandeur stood unmatched dwarfing every other ornament placed around the house. In moving to apartment, to college and back to apartment, I had all shapes and sizes of trees. Short trees, emaciated trees, skinny trees. No matter what they looked like, they all had one thing in common: they were fake. I wanted a real one, and it was a dream that would not be die. So one Sunday afternoon while my sister was in town we set off for a tree farm to pick out our own tree and cut it down. Not only would the blessed thing be real, but Bruce was going to show me what picking out a tree was really all about. Ritual in nature it involved the tedious task of finding it, cutting it down, mounting it to the top of the car and driving it home. Lest you think all trees are created equal, you couldn’t be more wrong. A Fraser Fir, considered by my husband as the Cadillac of trees, was simply the only option. The whole thing was incredibly romantic, and I almost couldn’t take it. About an hour and a half into the search, I got a little tired. We walked all over the stinking farm looking for the perfect tree. In my head, they were all perfect because they were real and big and smelled like Christmas. I didn’t realize it at the time that this painstaking search for perfection would be how my sweet my husband would research all future purchases from baby strollers to sandwich bread. I could appreciate that he excelled at this skill of tree shopping. Apparently he was so good at it that his family would not purchase a tree until he was home from college on break and able to go get it, no matter how late in the season it was. It was impossible for anyone to pick out a tree like Bruce. So I’d been told. In the 21 years we’ve been married, only twice have my husband and I ignored our tree standards, disappointed both times. Ever frugal and having my romantic visions of the perfect tree thwarted by the price, we succumbed to plastic simplicity one year and something real but very pokey the next year. Like saving for Christmas presents, saving for a tree that lasts a month at best, then dies and is thrown to the curb, is a priority that cannot be ignored. 1). A week of being productive. There’s nothing more satisfying than laying your head on the pillow at night, tired, because of good hard work. 2). Co-hosting a night of fun and celebration with friends at the Women’s Christmas Tea with my daughter. 3). Being asked to contribute to my friend, Sarah’s, blog http://www.doormousehouse.com in her Making Christmas Merry series. You can read about my fondness for Christmas trees there on Monday and on my blog later in the week. 4). I had a falling out with a neighbor before I moved six years ago. Two years ago she called me out of the blue to apologize for her treatment of me which spurred me on to apologize for my role in the ugliness, something I should have done long ago. We met at a mutual friend’s house this past week to pray with that friend who is going through a horrible time right now. Forgiveness has a long reach. 5). Another new student to tutor. 6). For my sweet neighbor surviving a horrific car accident recently. I’m beyond relieved that despite some cuts, bruises, fractured ribs and countless stitches she’s still with us and recovering. 7). Watching my kids desire to get involved with those around them who have broken hearts.